War Remnants Museum is the popular war museum in the Ho Chi Ming City in Vietnam. 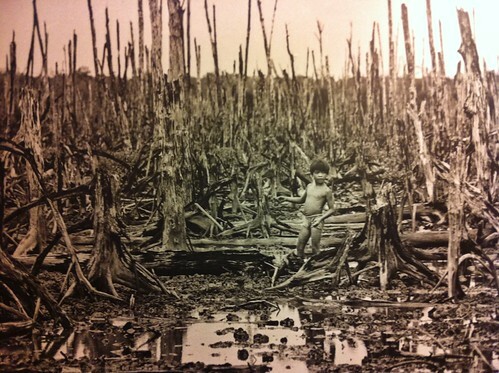 This place contains the exhibits related to American phase of Vietnam War. The museum further includes a set of 8 themed rooms in various buildings along with some military equipment set within a yard. The equipment include F-5A fighter, A-1 attack bomber, UH-1 “Huey” helicopter, M48 Patton tank and BLU-82 “Daisy Cutter” bomb. There are indeed various sections in the museum that show a glimpse of all facets of wars through the photographs, detailed maps and huge series of ordinance and weapons. 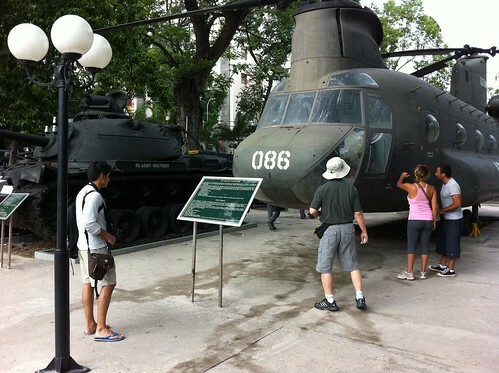 Outside the museum is a huge line of military tanks, vehicles, helicopters and artillery that was left either by departure of US Forces or was captured by North Vietnamese Army. The museum is in fact a great collection of weapons, machinery as well as documentation of the Vietnam wars with both Americans and French. This museum was earlier called as the War Crimes Museum as well and this gives a rough idea as to what sort of a story is told here. However, the museum serves as a call for hope and peace that history will not get repeated and the visitors are also asked to sign a kind of petition against the aerial carpet bombing which damaged the Vietnam people. The exhibit starts to right of its entrance with an area that lists the war facts like bomb tonnage, troop numbers, total casualties on both the sides and statistics on the international involvement in war. Planes, bombs and tanks used during the war are kept in this museum. There are some rooms as well outside the building that exhibit the cultural products thereby offering one the true glimpse of Vietnamese culture and tradition. The museum was earlier known as Saigon’s War Remnants Museum. Since its very inception, over 6 million people have already visited the museum. Among the huge number of visitors, about one million are the foreign travelers. 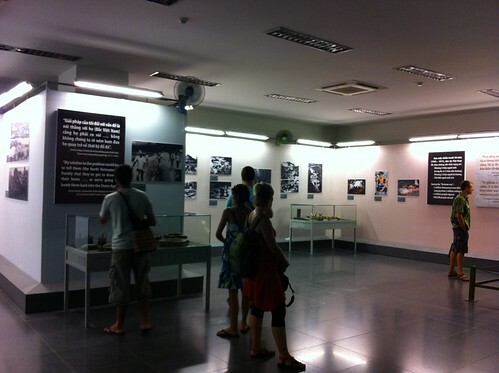 There is even a room in the museum that is dedicated to journalists who lost their lives during Vietnam War. The exhibits are evolving and so the museum is presently expanding as well as improving its overall presentation throughout. One room is even devoted to the biological warfare, one to weaponry and other to exhibit peace. Even the explanations that include the English translations are highly thorough. Even though the kids just love to see the huge collection of planes, war machinery, tanks and bombs, you may have to think twice before you take them there to see these things. There is even the model of French colonial prisons, known as the Tiger Cages. 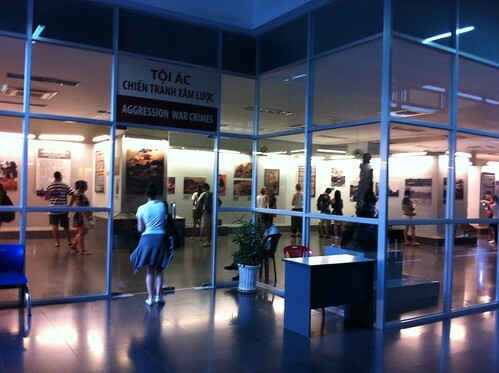 There are indeed various sections in the museum that show different facets of the Vietnam War. So when you plan to visit Vietnam or primarily the Ho Chi Ming City, paying a visit to the War Remnant Museum is a must. It is a popular tourist destination in the Ho Chi Ming City and you will surely remember this place for a long time. Even though there are disturbing displays and exhibits in the museum, it serves as a must see destination in Ho Chi Ming City in Vietnam. What are you waiting for? 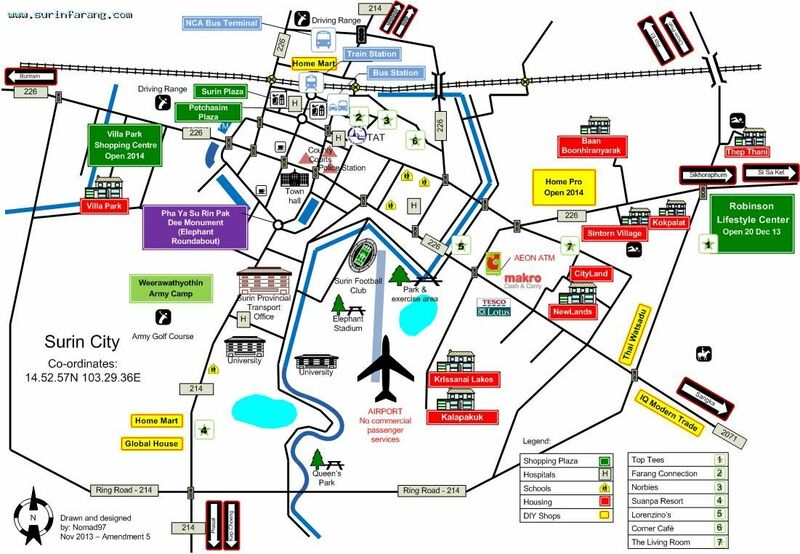 Plan a trip to Vietnam and Ho Chi Ming City to see the War Remnant Museum and know the history behind the Vietnam War. You will surely be mesmerized and touched with the way all exhibits have been displayed in the museum. Having a look at the photos exhibited will make you touchy as well. The museum has become a popular tourist destination among the local as well as foreign travelers.